The use of Angular as a way to develop client-side web applications has been trending upward for some time. 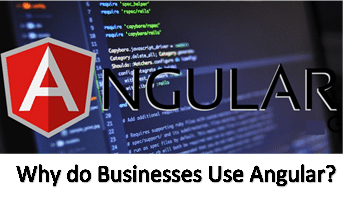 Angular is adaptable to various development efforts and is a good choice for many enterprise businesses. As a multifunctional framework Angular is ideal for creating single page applications in which data and view are separated as per the MVC pattern. The functionalities of Angular like two-way data binding, dependency injection and deep linking makes it the most powerful and robust platform for the developers to work on. The Angular open-source framework is a powerful tool. It enables developers to create, test and update high quality web apps quickly. To learn more, visit our Angular Training and Courseware page.